This entry was posted in Following Christ, Leadership, Prayer, Promoting Christ by Bryn. Bookmark the permalink. Yes Bryn: I echo your thoughts. I have been watching Teebow play since his college career days. He is some kind of dude. I agree totally! 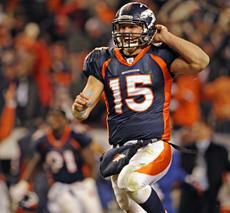 Tim Tebow shares the word of Christ Jesus our Savior and he is the one that I look up to in life! 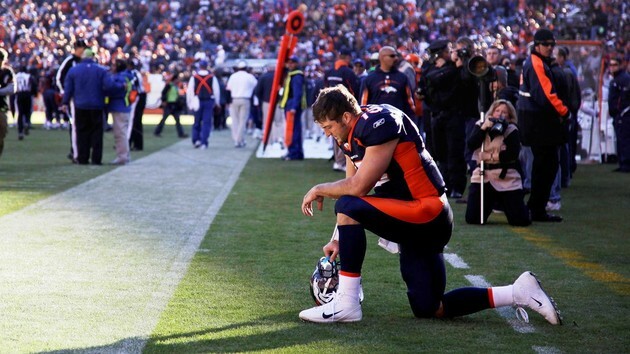 When I am at parties all my friends mock him by doing the “Tebow” and I tell everyone that this is not something to mock unless you are really praying! I want to meet him some day and tell him wht he is doing is right and I think he is really amazing! So Tim keep your christian faith no matter what anyone says or any media and keep spreading the Christian word! I even did a talent show performance on tim Tebow!